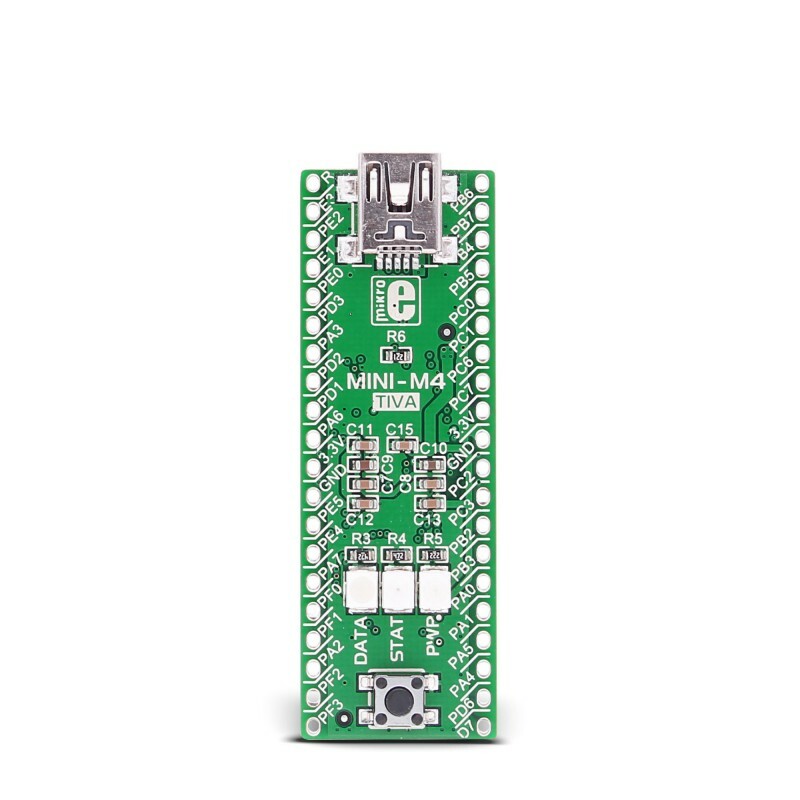 MINI-M4 for Tiva™ C Series is a small ARM® Cortex™-M4 development board containing Tiva™ C Series TM4C123GH6PM microcontroller. It perfectly fits into a standard DIP40 socket. Board is equipped with 16MHz SMD crystal oscillator, and 32.768KHz crystal which can be used for internal hibernation module. It has reset button and three signal LEDs. Board comes preprogrammed with fast USB HID bootloader, so no external programmers are needed for development. It operates on 3.3V power supply. On-board voltage regulator allows the board to be powered directly from USB cable. Tiva™ C Series TM4C123GH6PM, ARM 32-bit Cortex™-M4 CPU with frequency up to 80MHz. It features 256Kb of Flash, 32 kB SRAM and extensive range of enhanced peripherals and I/Os. 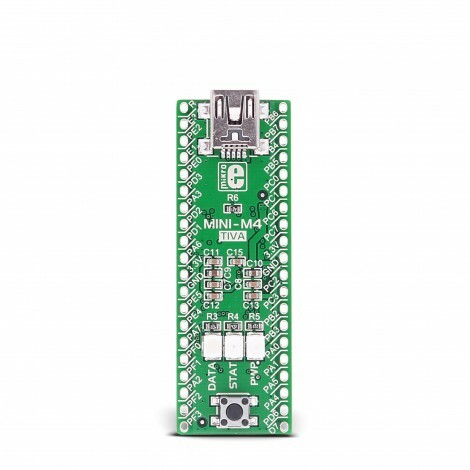 Mini USB-B connector, signal LEDs (data, stat and power), Crystal oscillators and Reset Button on board. Fully suported in MikroE ARM compilers.